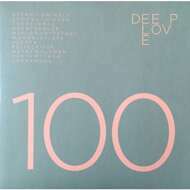 Dirt Crew’s 100th release falls on this year’s Deep Love Compilation. Set to drop across a double vinyl on 12.09, with 11 all exclusive original tracks from new and old favourites including Detroit Swindle, Nachtbraker, The Revenge and Felix Leifur. Take a sonic trip across deep and straight up house, infused with jazz, disco and funk. This diverse and plentiful outing includes work outs for your dance floor alongside intergalactic analogue synth laden voyages, originating from artists we’ve uncovered from Japan to Iceland and many places in between. A truly great way to celebrate our 100th Release.